NATICK, MA, November 23, 2015 — Genelec, the pioneer in active loudspeakers, is now offering 16 models in its Smart Active Monitoring™ (SAM™) range of products. From the Compact SAM 8320 – 8330 – 7350 Series, to the NEW flagship 1236 SAM system and accompanying individually calibrated RAM-XL Remote Amplifier Module, Genelec is now offering the most comprehensive range of professional automatic calibration monitors and subwoofers available, with models to fit the needs of any studio. Developed in direct response to the need for increased audio reproduction accuracy in acoustically challenging environments, Genelec developed its Smart Active Monitor (SAM) technology. The acoustical performance of SAMs can be optimized with automatic calibration for a given listening environment and for different working styles or client demands, in stereo or multichannel configurations. SAM calibration includes aligning levels at the listening position, adjusting delays from the signal input to the listening location, and compensating for the acoustical room influences on frequency response (equalization). One of SAMs proprietary tools is AutoCal™, Genelec´s acoustic calibration solution that is supplied alongside the Genelec Loudspeaker Management software package, GLM. Using GLM software and AutoCal™, a monitor can be optimized for consistent, performance as a reliable reference, even when moved from one control room to another. AutoCal not only helps the user to achieve a flat frequency response at the listening position but also handles phase alignment between monitors and subwoofers and time-of-flight compensation—the latter of high importance when retro-fitting systems into existing rooms where maintaining an equal distance between all monitors and the listening position may not be possible. Additionally, a SAM system can be controlled with digital networking, enabling users to build highly flexible, computer-controlled monitor systems. 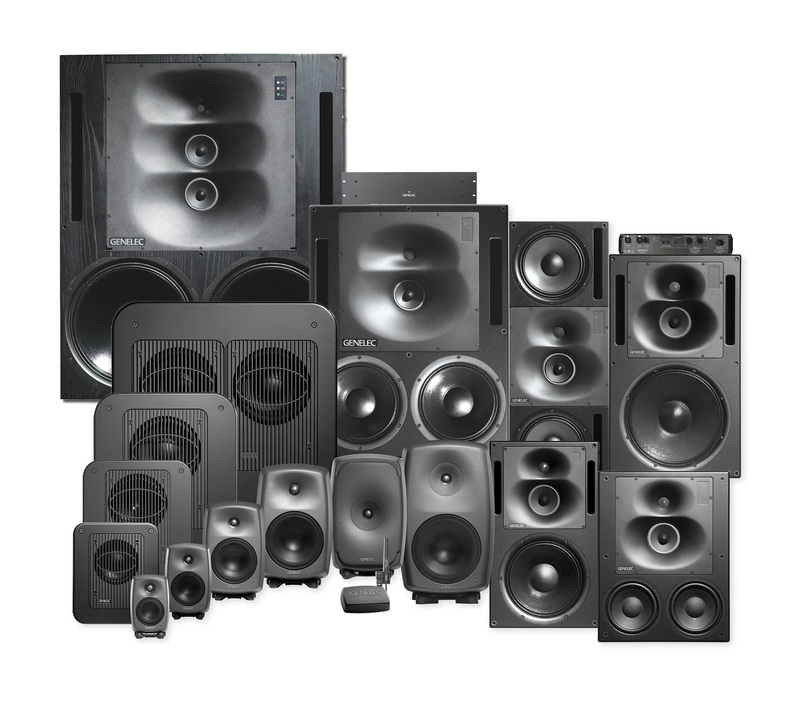 The complete range SAM range of Genelec Active Monitors offer configurations suited to any size room, will automatically adapt to any acoustical environment, and can accommodate surround and immersive environments (up to 30 SAM monitors can be optimized and controlled as a single system). Combined with legendary Genelec sonic performance, SAM monitors are indispensable tools for sound professionals in music studios, broadcasting, post-production and more. Photo Caption: Genelec’s SAM™ (Smart Active Monitoring™) range.